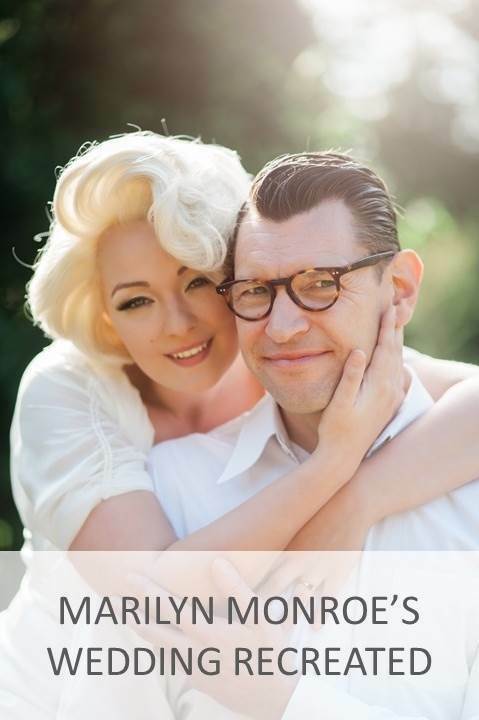 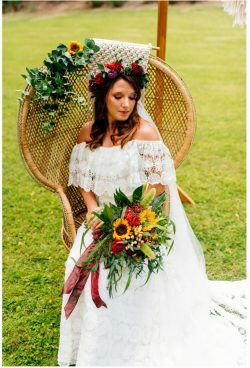 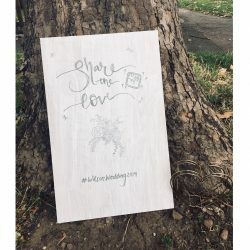 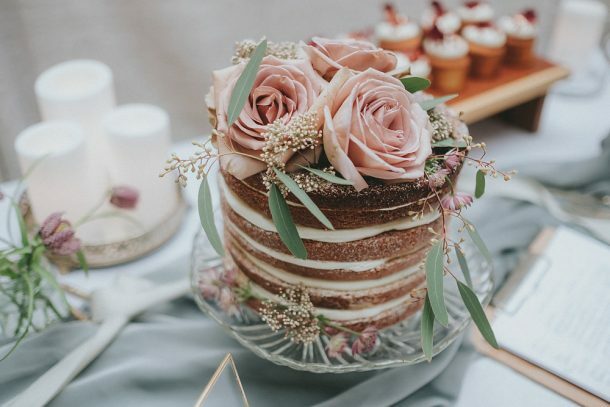 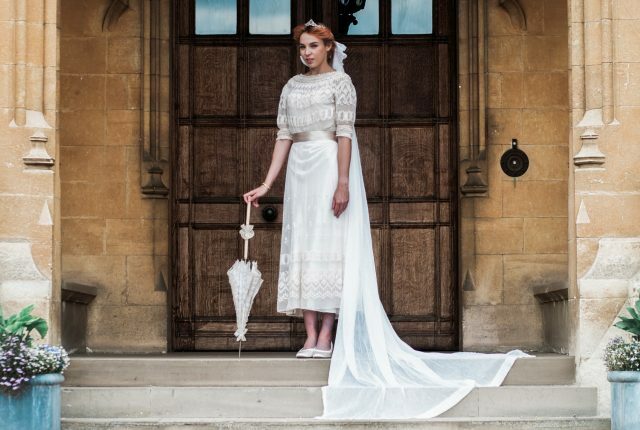 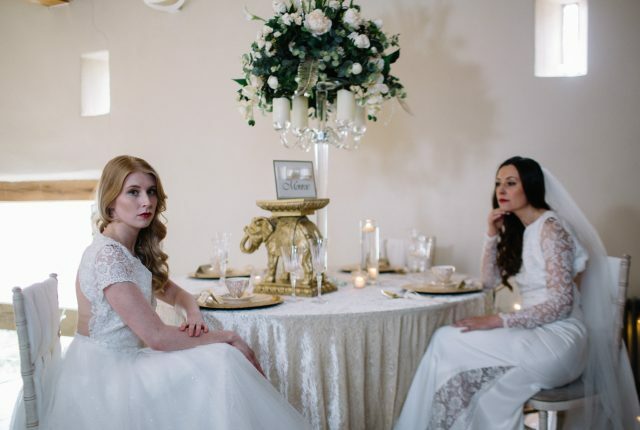 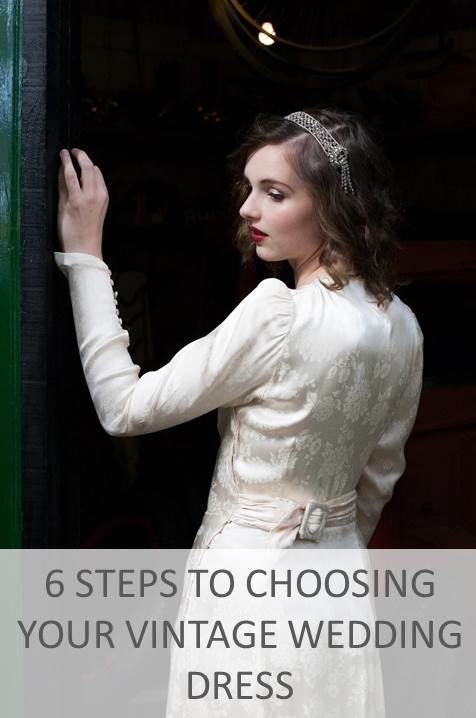 It’s all about the 1920’s vintage wedding dress today – a popular wedding theme with so much variation and impeccable styles that are sure to make your wedding a chic and stylish affair! 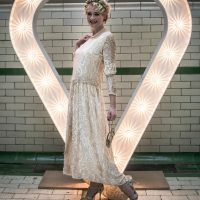 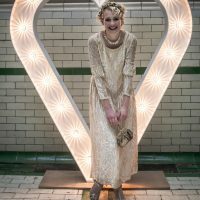 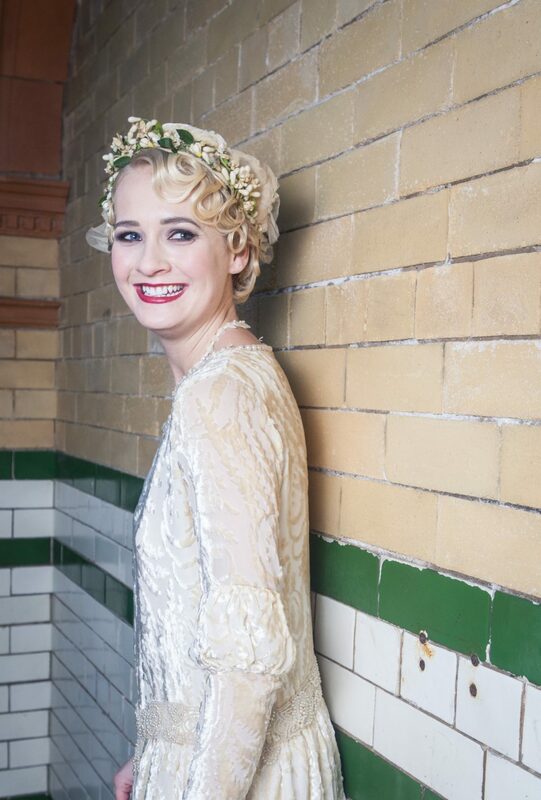 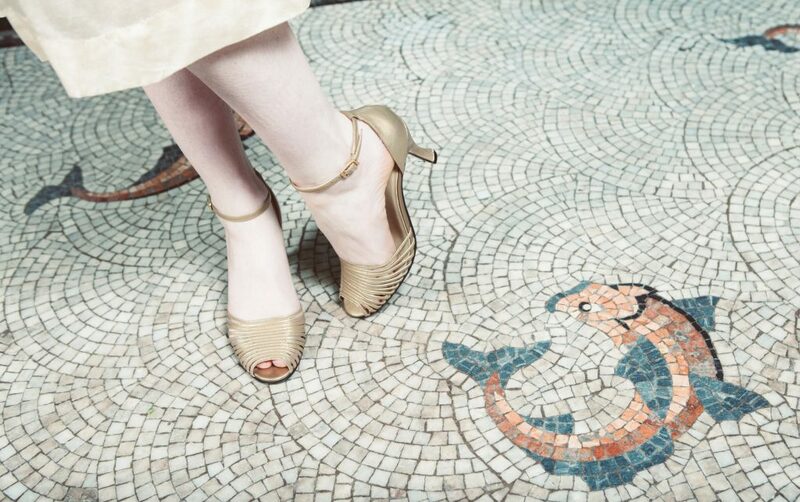 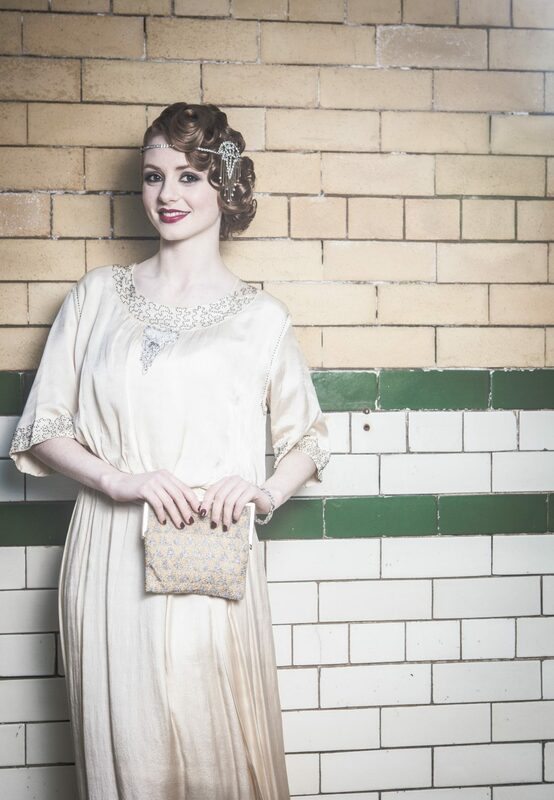 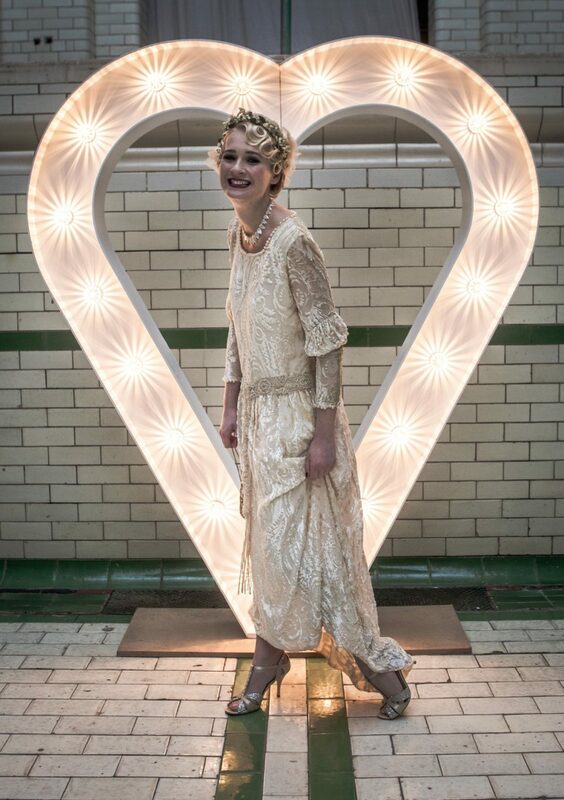 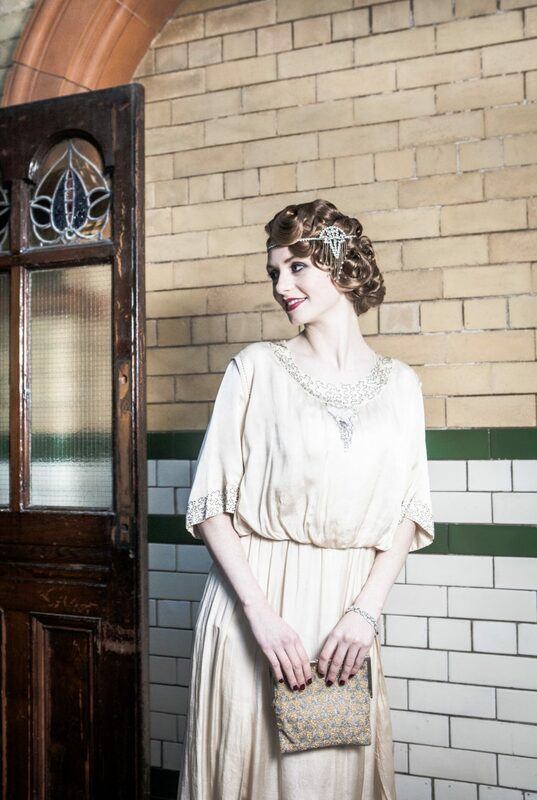 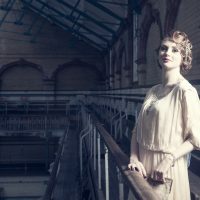 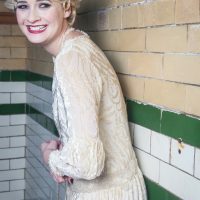 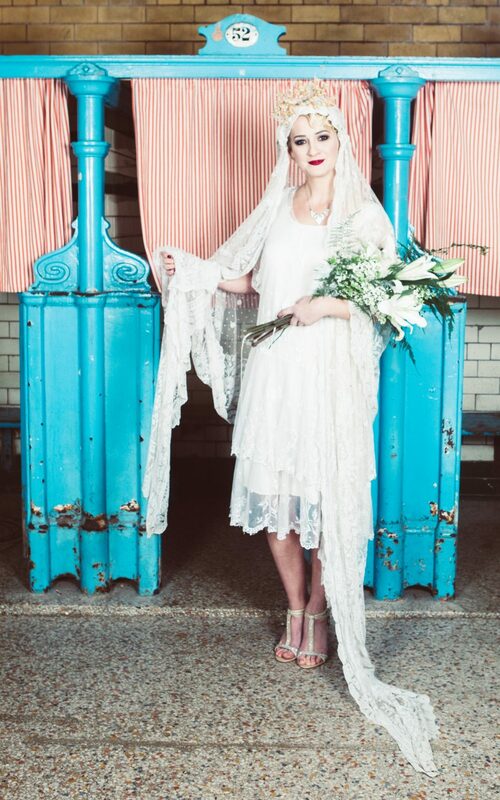 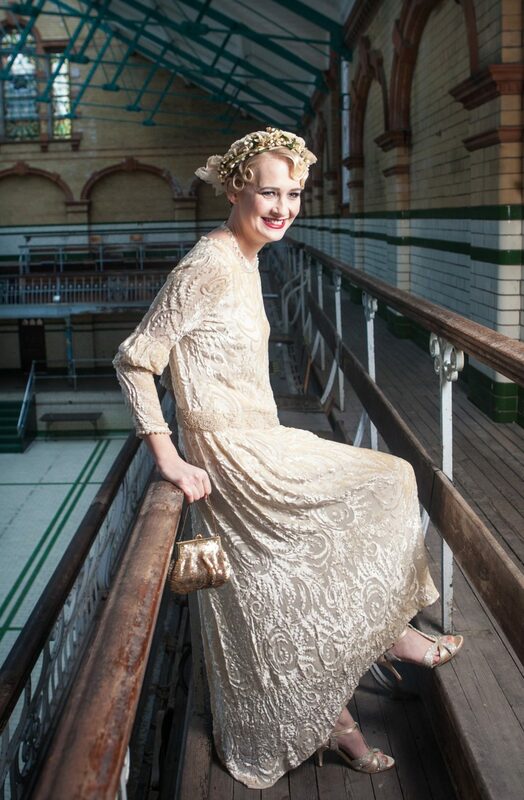 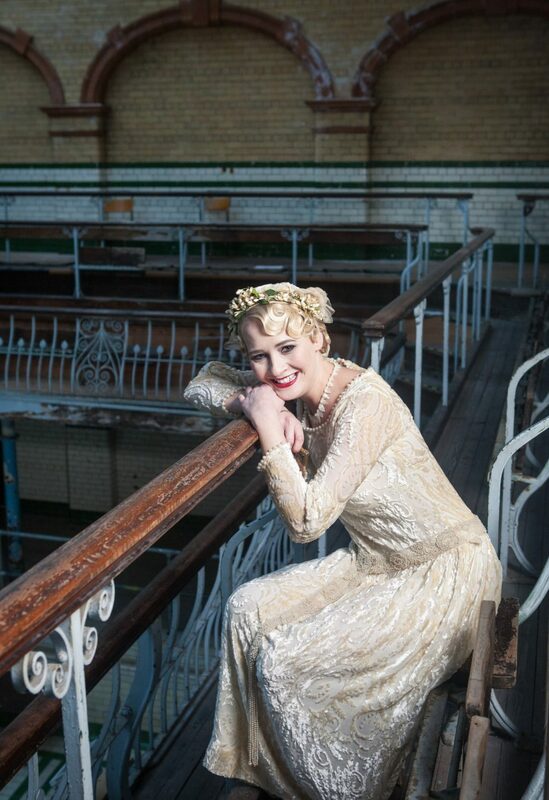 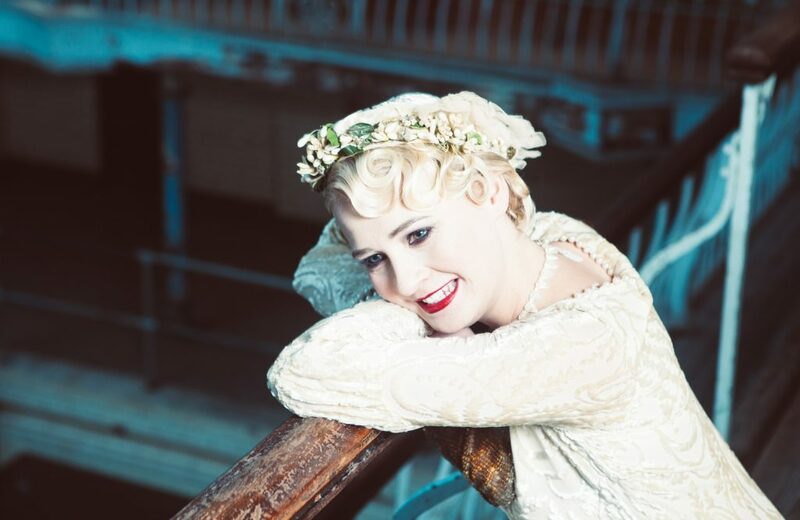 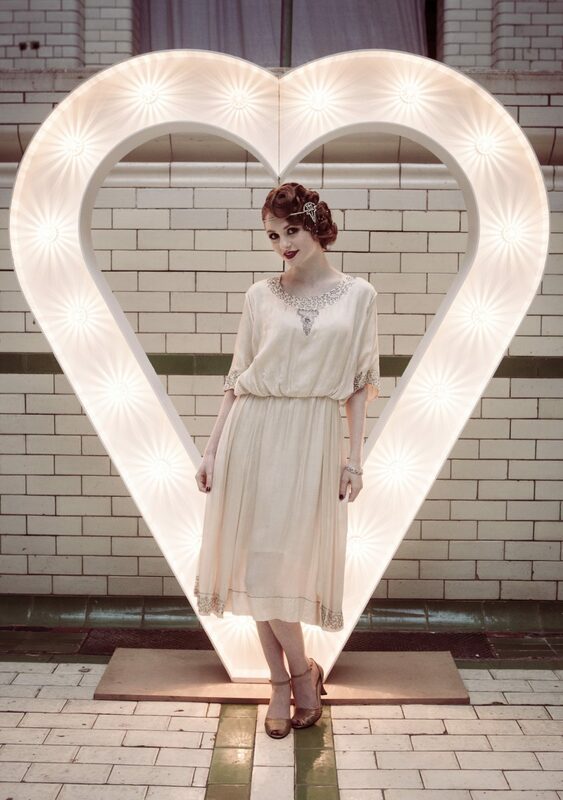 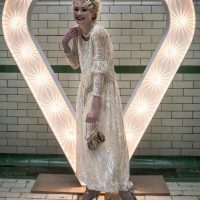 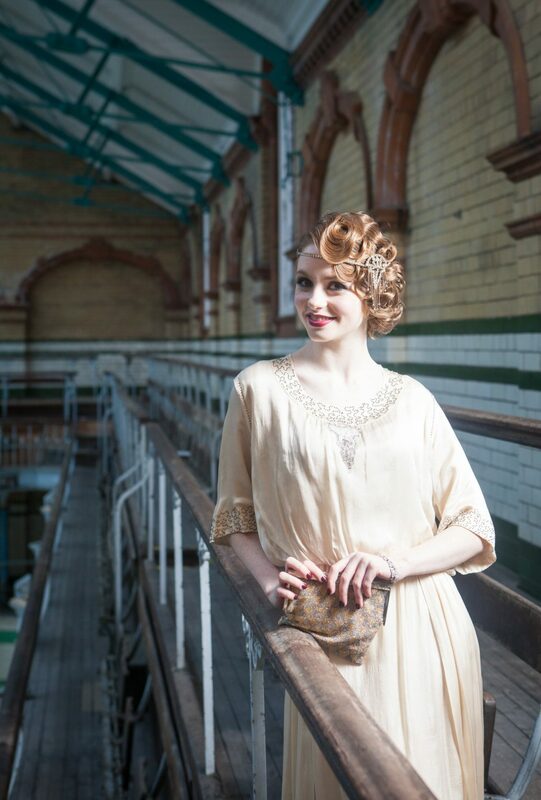 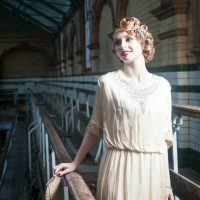 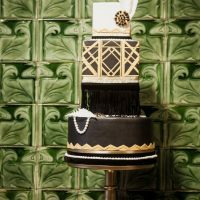 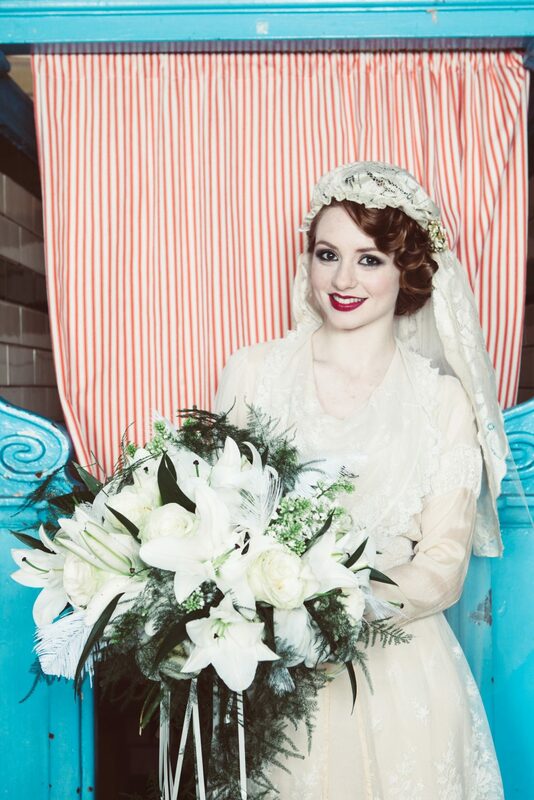 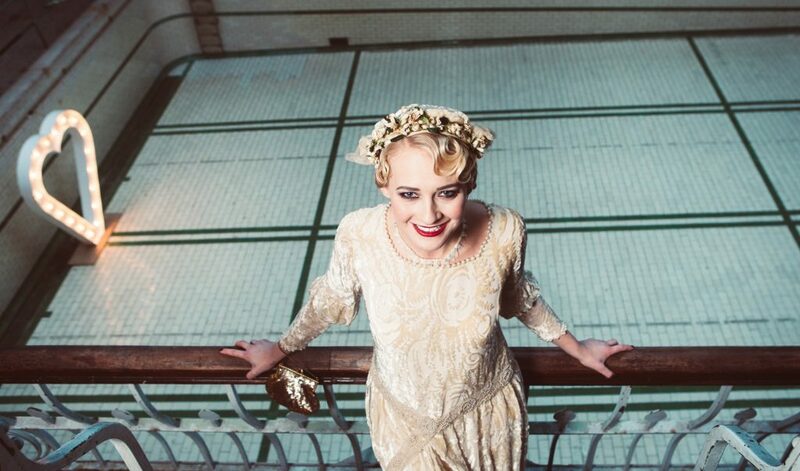 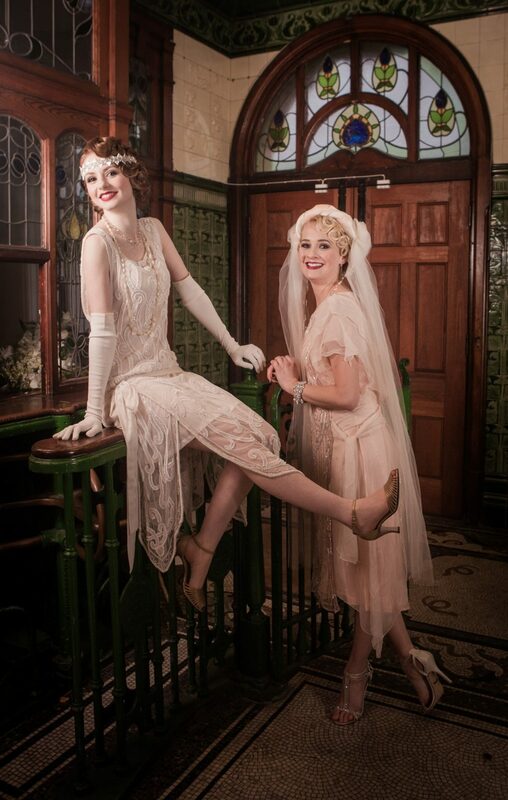 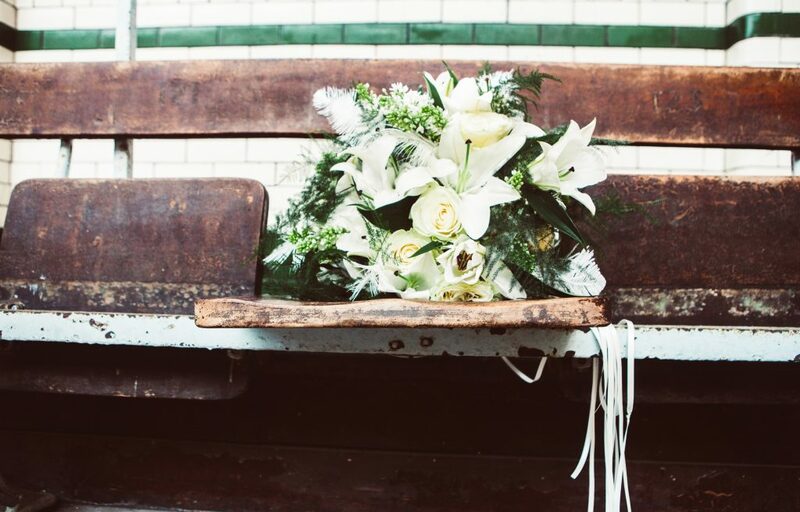 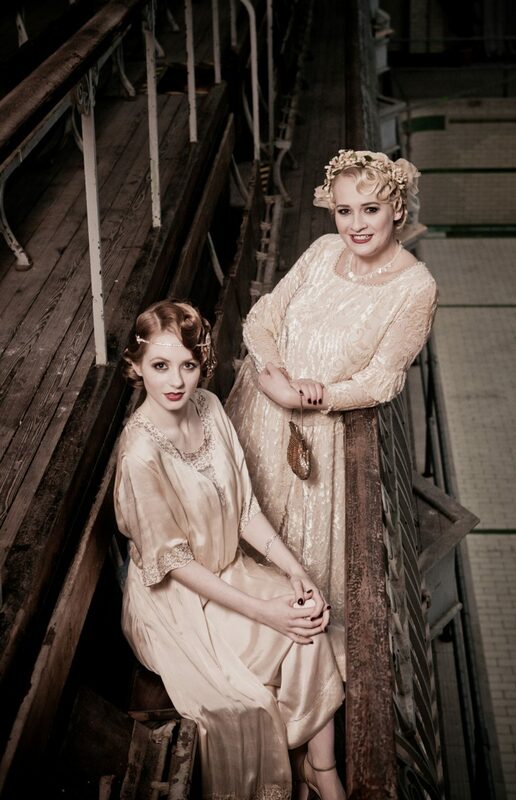 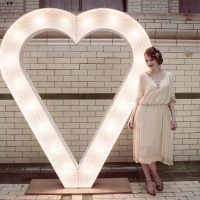 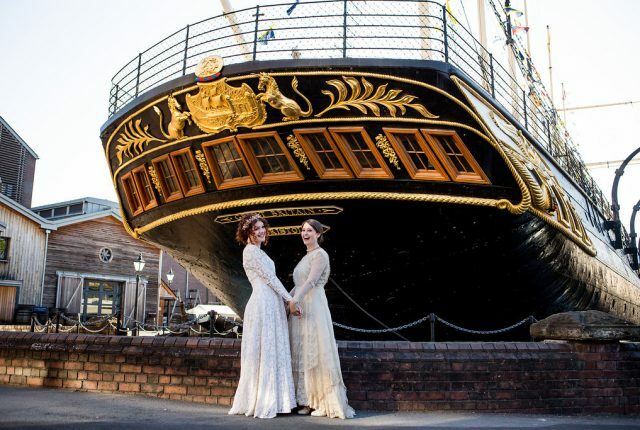 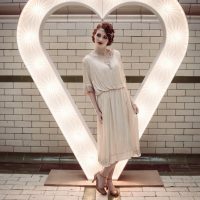 Set at the historically beautiful Victoria Baths, Manchester, the perfect backdrop for a vintage wedding, and the perfect place for a 1920’s extravaganza. 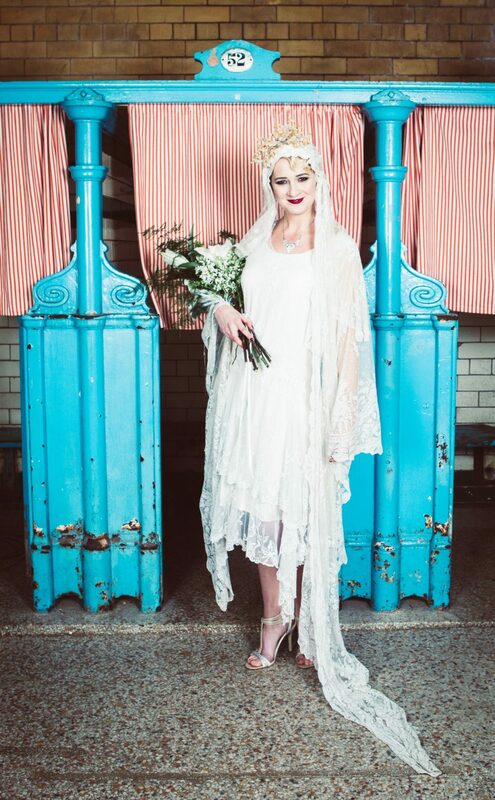 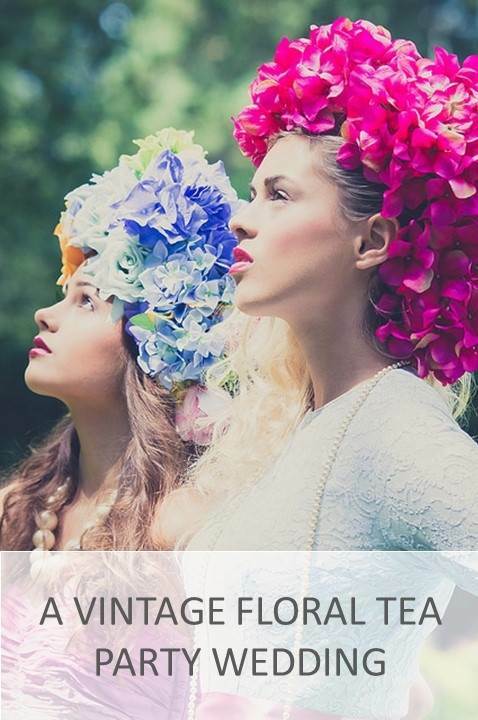 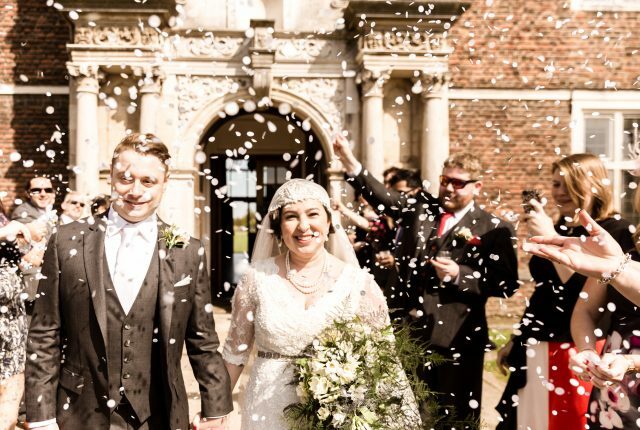 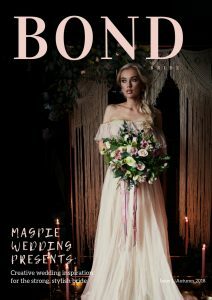 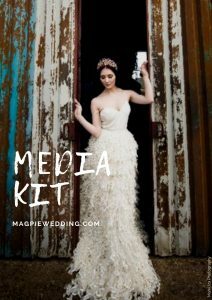 The bridal fashion of the 1910’s continued into the early part of the 1920’s with simple yet elegant dresses teamed with floor length veils and wax flower head crowns. 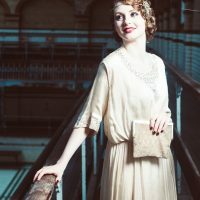 But all of this was to change with the arrival of the flapper girl; a woman who enjoyed life, danced the night away and was influenced by the new fashions designed by Coco Chanel. 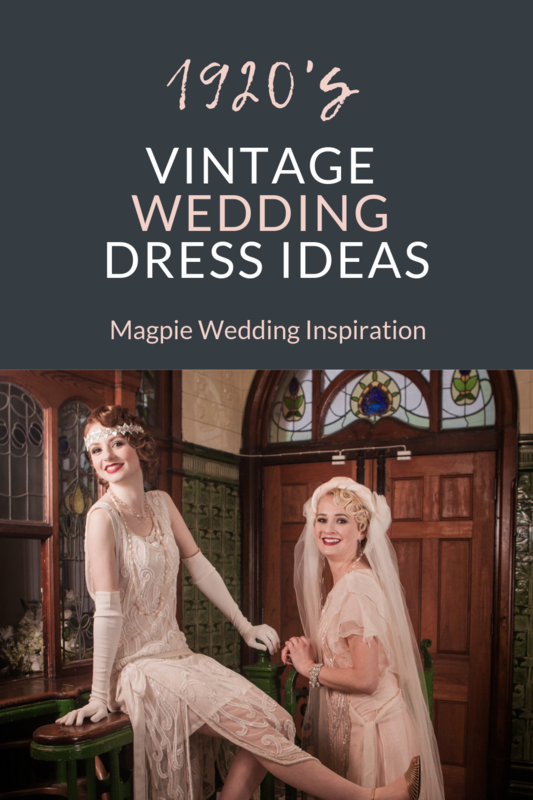 By 1924 the waist line had dropped and the hemlines had risen, but it was in 1925 that we finally saw the 1920’s wedding dress that we often think of when we envisage this era. 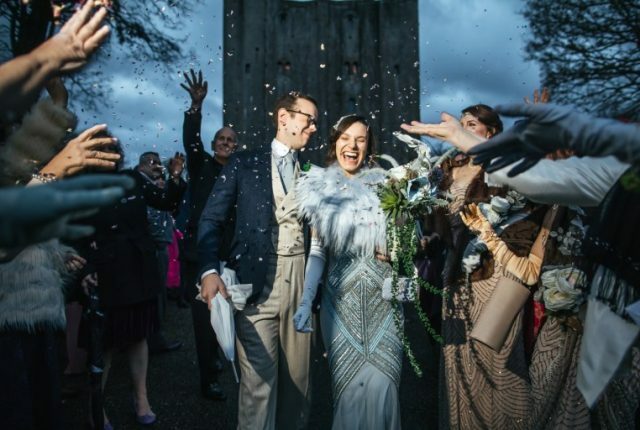 Waistlines had gone completely, brides wore silk chemises with a sheer over dress worn over the top, adorned with sequins and beads with Art Deco shapes within. 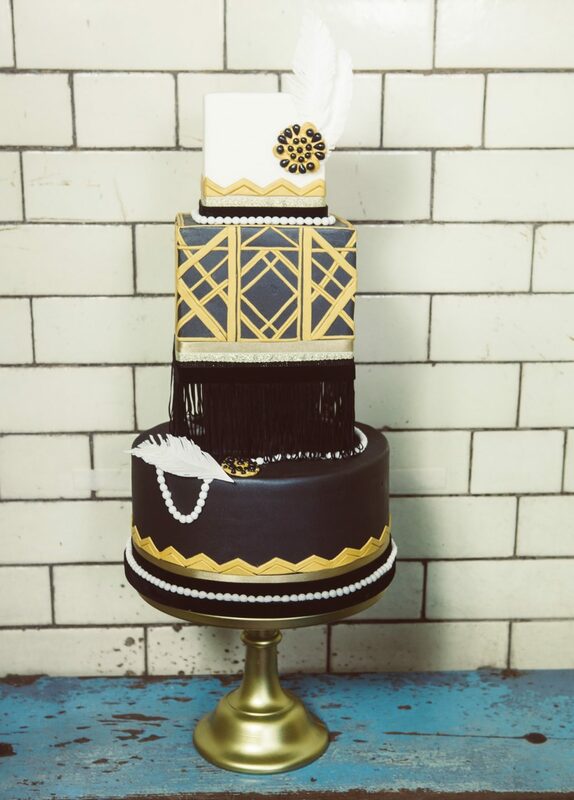 They wore piano gloves and long beads and pearls. 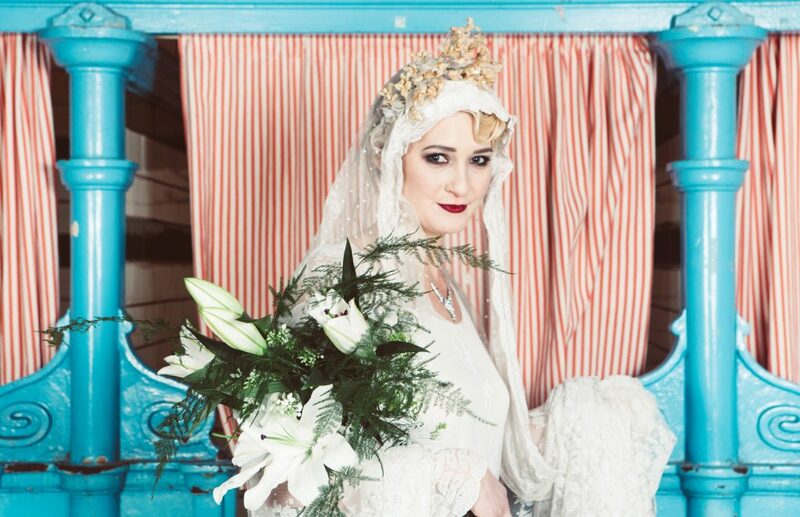 Veils were still worn long but with new rhinestone accessories and head bands. 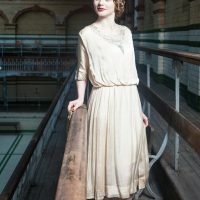 Some brides still chose floor length dresses with silk draping often with one side gathered up to create an almost Grecian feel. 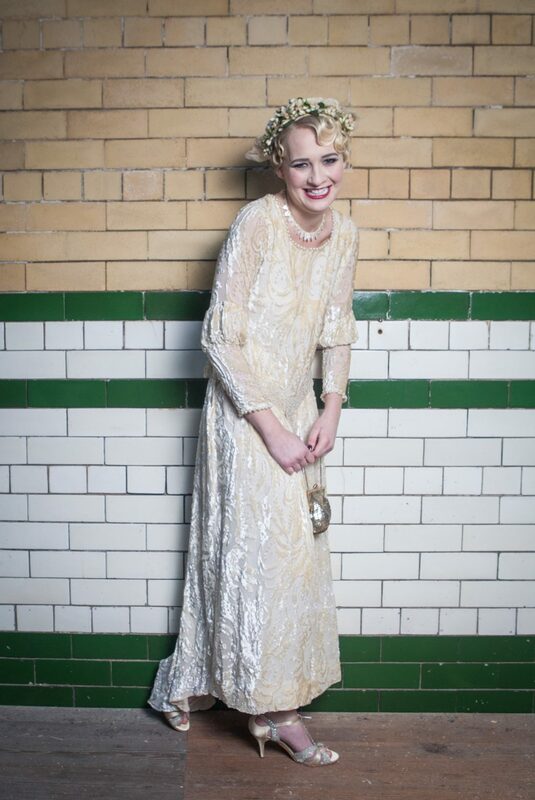 By the end of the decade, brides were wearing more clinging styles which we know and love from the 1930’s. 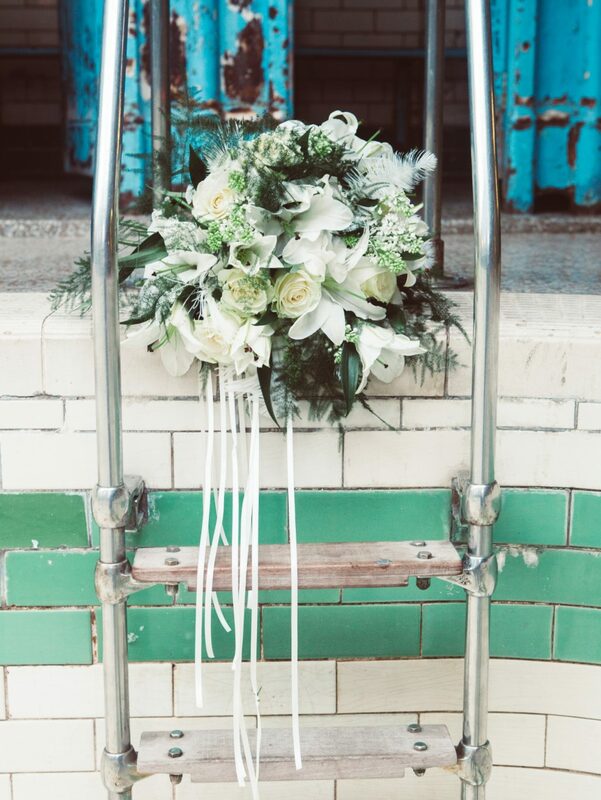 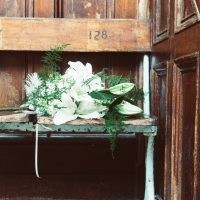 Wedding flowers were very similar to the 1910’s – shower bouquets with white lilies and orange blossoms and much green foliage hanging down. 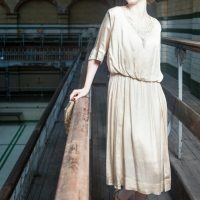 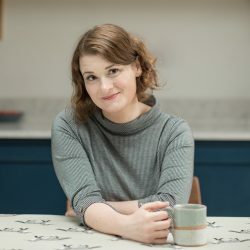 It isn’t easy to find an original 1920’s dress as silk tends to shatter after 50 years but there are some out there and I have featured 4 within this piece. 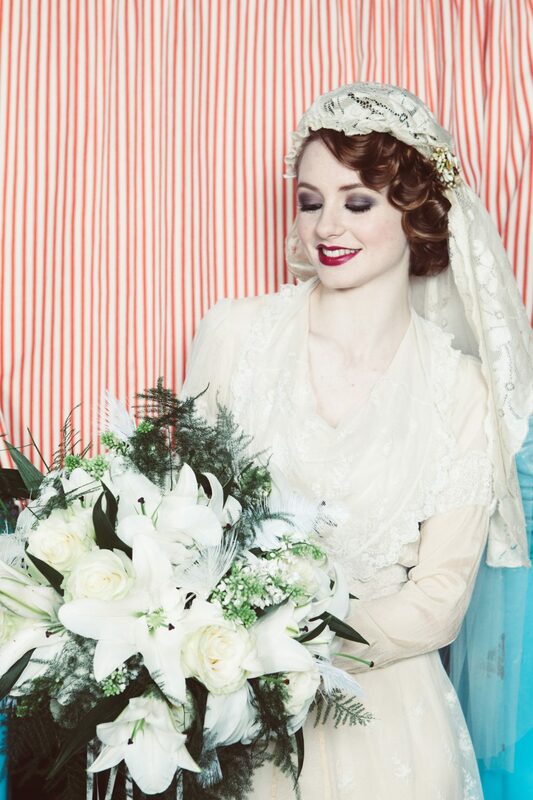 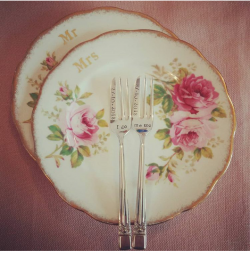 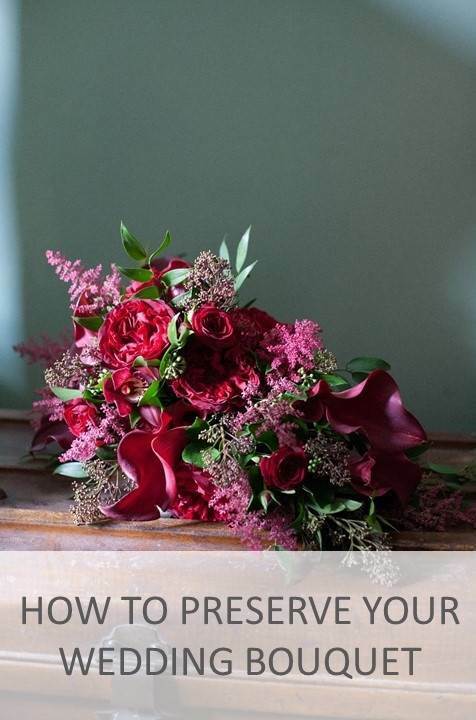 There are also some great reproductions out there from bridal specialists as well as in some high street shops. 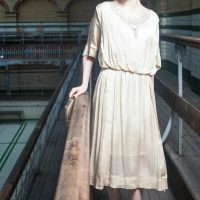 Alternatively, look out for 1980’s versions.